2018 - What's Your Vision? Setting goals, writing down your intentions and putting your best foot forward for 2018. Let's get together and make it happen! I am personally inviting you to a Vision Board Party I am hosting. A vision board is a visual representation of what you envision for your life. It is a tool used to help clarify, concentrate, and maintain focus on a specific life goal. Whatever you want it to be, do or have in your life. It is a fun and creative way for you to become clear on your dreams. See it! Believe it! Receive it! Where: Brickyard Apartment Party House. I will provide drinks, light snacks, and all vision board supplies. If you would like to bring personal pictures that is fine. You won't want to miss it. Simply click the button below and your place at the table is reserved. Because YOU deserve a place at the table! When you leave this party, you will have direction, energy, and the vision to have the best year of your life. A life full of purpose. Sometimes, that's the best advice we can hear. Win or lose succeed or fail, go for it, and go all the way. As my flight instructor told me on the first day of flying lessons, "Keep one hand on the throttle and one hand on the yoke." "Aahhhhh!" I would say during my early lessons as the plane lifted into the air, but I kept the throttle pushed all the way in. There are times when it's wise to be cautious. And there are times when the best thing we can do - the only thing we can do - is going for it by living big. Ask her out. Request the raise. Say no - and mean it. Learn to drive a racecar or climb a tall hill. Learn to snorkel or surf. Dreams remain dreams until you act upon them. Then they become real life. Will you throw a few coins into the beggar's cup, or will you bring him a hamburger and fries from the local fast-food place? Will you do an average job at work, or will you look for ways to go big - really give it your best - in the everyday areas of your job? Will you put your all - your heart and emotions - into the relationship with the people you love? Will you wait for another, more convenient time to pray, or will you start genuinely trusting God? You don't have to get a life. You've already got one. Live it, and live big. This spoke right to my heart and I had to share with you, my tribe. Do you know why? Because I am going after everything I want in 2018! Growing my business, asking for what I want. Already asked for what I wanted this month...the answer was NO. Did I like to hear NO, nope, but the sun came up the next day AND I am proud of myself for asking the big question. Preparing myself me for the next time. I empowered myself to know I am worth it. SO ARE YOU!! I am taking that big trip this summer to Hawaii for a writing workshop. Yes! I am so excited! Life is too precious to waste and sit back and watch it go by. How are you Living Big in 2018? Ready to find romance? New career? Ready for some accountability? Send me a note and tell me. I want to know because you matter to me. I don't want you to feel stuck one more day. Please share this blog post with someone who could use some positive words. Maybe your sister, coworker, or neighbor. I hope my words convince you to live a life you LIVE BIG in. P.S. Let me know if you are interested in The Women's Wellness Weekend and I will send you the details of the whole weekend. Come and enjoy some time away and increase your energy, become mindful and create more self-care to your life! Your Word For 2018 Is ???? Do You Have a Word for 2018? I Do. Did you know there are benefits to choosing a word for the year instead of making resolutions? For many of us, making resolutions has long been a tradition often starting in childhood. But a few years ago I wanted to shake things up a bit. The list making of resolutions just wasn't cutting it anymore for me. That's when I was introduced to a "Word" theme for the year. My first year of picking a word was Vision. Who knew, right? Since I am all about Vision Boarding each year. (Stay tuned for details about my Vision Board Workshop). That year I worked hard at receiving my Life Coaching certification. It was a vision I had to empower women and help them live the life they dream of. Next year my word was Growth. The year wasn't all about growing my business as it was experiencing growth in myself. I knew if I was going to be the best I could be as a Life Coach I needed to walk the walk. I opened myself up to fear, failure and vulnerability. I launched my very first workshop and boy was I scared. Getting up in front of a group and talking was a huge step for me. I had all the doubts in myself you could imagine. "Why would anyone listen to what I have to say"? I soon found out that Yes I do make mistakes, and No I am not perfect. But I learn from my mistakes, get back up brush my self off and go at it again. One other thing I realized in that year of growth. I am good Enough. This year's word is Create. I am very excited about the word because I am going to be creating new things in my Life Coaching biz for You. That's right new eBooks, courses you can sign up for. And... what I am most excited about creating in 2018 is the Women's Wellness Retreat in New Harmony, Indiana. It will be April 27th though April 29th. Mark your calendar now. More details to come soon. I found this to be inspiring and wanted to share fellow Life Coach, Maggie Reyes thoughts on the new year and staying true to yourself. I hereby commit to living my word this year. I will remember to BE the person I want to be. I will DO the things I want to do and then I will HAVE the results that represent Authentic Success to me. I will take Baby Steps towards my goals. When I feel "under construction" I will declare it good. I know my skyscraper is being built. Every day I will look for and find Inspiration and Power in my Words, Feelings, Thoughts and Actions. And so it is. Amen. Send me an email and tell me what your Word for 2018 is. How are you going to stay true to your word for 2018? Need help picking your word for 2018? Think about what makes you smile. How do you want to feel in the new year! Be open to new things in the new year. Please share this blog post with someone who could use some positive words. Maybe your sister, coworker, or neighbor. I hope my words convince you to live a life you are destined to. P.S. Send me a note if you are interested in The Women's Wellness Weekend and I will send you the details of the whole weekend. Come and enjoy some time away, increase your energy, become mindful and add more self-care to your life! Life Is Happening . . . Right Now! As another New Year approaches you have goals and visions in place - but somehow you are still unhappy. The reason is we haven't worked on the root cause of our unhappiness. You can set all the goals for yourself but if you don't get to the core of what is really going on deep down you will always be chasing your dreams. Does this all sound familiar to you? Telling yourself year after year, this year I will get it done? Maybe it's lack of self-confidence? Fear that when we go back to get that degree we won't get the grades we want, or getting our finances in order we might find out we are spending way too much on groceries, dry cleaning, or eating out? Let's think about it in another way instead of being fearful, or lack of self-confidence. What if you thought about as an opportunity to make a difference in your life? Make a CHANGE in your life? In your family's life? 1 year from now how do I want to feel? Empowered, confident, determined. 5 years from now how do I want to feel? Freedom thinker, persistent, decisive. If you are ready to think in a "forward" direction - to dream, even if it's a little teeny, weeny baby step dream. Maybe you're in a mid-life funk? Send me a note and let me know how I can help you bust out once and for all with some amazing life coaching. Start 2018 with the best you can be. The time is now! Life is too short to feel unhappy, besides Life is Happening Right Now! Hugs and Happy New Year to you all! The holidays are upon us once again. (how did this happen so quickly)? You may be scratching your head and thinking wasn't it just the 4th of July? One of the reasons time is getting away from us is... I believe we have our head down instead of up! Looking at our phones, Ipads, and any other gadget that is out there. We are so caught up with social media, Netflix, the newest scuddle on Matt Lauer, and what is _____________ up to these days. (You fill in the blank). I suspect we are all guilty of this behavior -- at least partially. Myself included. This behavior is not acceptable. It's not the type of world I want to be a part of. It's not how I want to treat people...or to be treated by looking at my phone rather the person I am having coffee and conversation with. I want to do better and be a better person than this. Be a better listener to my friends, family, and coworkers. I have made a small change where my phone is concerned. Instead of charging it at night in my bedroom I am now leaving it in my kitchen charging. Progress in disconnecting. This small act keeps me from getting on social media while laying in bed and therefore, I can concentrate on my sleep. 1. When I am in the presence of anyone over a meal/meeting etc. the phone stays on silent mode and in my purse. 2. Will continue to charge in the kitchen at night...instead of in my bedroom. 3. I will NOT mindlessly sit and scroll through posts on Facebook or Instagram. I will do more productive, fun activities. Take a walk, pull out an adult coloring book, etc. If I can do this so can you. I will do my part to create a healthier, more compassionate environment for myself. It begins with a choice...my choice. Leave me a comment and tell me how you are going to disconnect this holiday season. I want to hear from you. I must tell you I am grateful for each and every one of you who comes here and reads my blog posts. Thank you for being here and in my life. As the year comes to an end and 2018 begins, it has been so exciting hearing from you, seeing you at my events...Vision Board Workshops (have you been thinking about your board for 2018)? I have! Thankful for my 2 sold out Cake and Coaching classes and all my clients who signed up this year and crushed your goals and made such progress finding your voice. Here's to a New Year and the New You! I am filling my calendar for January and February already and would love to see you there. Send me a note at wagnermsusan@gmail.com to schedule your free 30-minute consultation and get you on track for the New Year. You know you have been wanting to do this for awhile. Invest in yourself for a change in 2018. Susan's Festive Gift Guide . . . I am feeling the love . . . so am sharing it!! If you are wondering what gifts you're going to get that hard to please person on your list . . . Wonder no more. I've got you covered! Remember money and gifts are not the answer for everybody on your list. Sometimes it is just your time spent with that person. For example . . . my Mom, at 83 has everything she needs and wants. I spend most Sunday mornings with her having coffee, walking and discussing life and current events. Money can't buy time with your Mother. But if you must spend money consider these items. I have spotlighted women and their small businesses in most of my selection. I hope you enjoy them as much as I do. Studio Fran . . . I was introduced to the magical jewelry of Frances Cadora 3 years ago when I attended a workshop in Savannah, GA. I have absolutely fallen in love with my "word" necklace. Have you thought about your word which describes 2018 for you? I am thinking TRAVEL Each piece is handmade by Frances who over has over 20 years of impeccable craftsmanship and the love for everything personal. I am a huge fan of reading. I have read as long as I can remember, in high school I remember passing around the newest Danielle Steele books with my girlfriends. Oprah's Sunday Wisdom . . . Sole Survivor . . . Sole Survivor by Holly Dunn Pendleton. This is a true story about 2 college kids from the University of Kentucky who find themselves in a deadly situation when they come face to face with the Infamous Railroad Killer. It is a story of pain, faith, and the positive action that has come from this story is inspiring. A book you won't want to put down. Schon Boutique . . .
Schon Boutique is one of my favorite local places to shop for clothing here in Evansville. They have such a variety of women's clothing and jewelry. They have Liverpool brand jeans that feel like butter on and they give with every move you make. Love them! You should try them. Kelley and her girls are wonderful to work with. 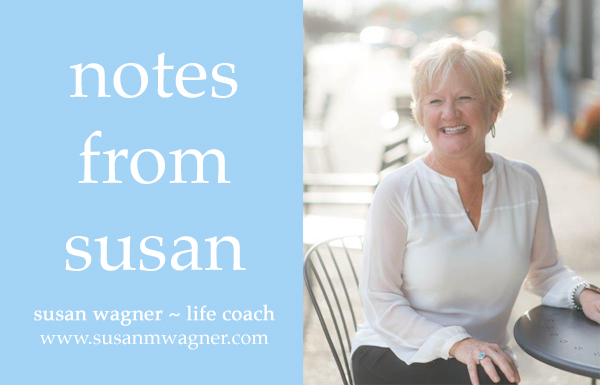 Susan's 2018 Life Coaching Package! Susan's Life Coach + Vision Board + Cake and Coaching. This package is definitely a great gift for that special someone on your list. Or maybe you are someone who is hard to buy for...tell your husband, kids or anyone who will listen this is what they can get you for Christmas. Your very own 3 x 1 hour Life Coaching sessions with me. We will work on your goals for 2018 and I will challenge and inspire you to make 2018 the best year yet. In addition to the three 1:1 sessions, you will receive a seat at a Vision Board Workshop + Cake and Coaching Event + a set of my Inspiration Coloring Notecards! All for a great price of $475.00. (Regularly $625.00). What a way to invite what you want into your life for 2018! Susan's 2018 Coaching Package - Buy Now! Wishing you the Happiest of Holidays and a Fantastic New Year! I am doing the happy dance over here!! You see at the beginning of 2017 one of the goals I wanted to make happen was submit blogs/newsletters to different magazines for publication. Some I submitted to replied "no thanks" or "not the style we are looking for". I was not about to give up on my goal of becoming a writer. I worked hard by taking a writing and journaling class which was so much fun but also a lot of effort. I even put this on my vision board for 2017. The hard work paid off. I am so proud to announce that... I am officially a Published Writer!! Hooray! I am featured in DIG DEEP: The Magazine. I wrote a piece about SELF TALK and how it can really hold you back from your true happiness. The magazine includes pieces from so many wonderful people. I'm excited to be part of this project. If you need proof a Vision Board really works...Here it is!! I set my intentions worked towards the goal and bam! I made it happen. I couldn't be more excited. If you want to know more about Vision Boards and how they can work for you, leave a comment here or send me a note and let's continue this conversation. Lot's of gratitude for reading my blog! I couldn't resist this sweet picture of this little guy. Hoping this inspirational reading finds you well and grateful during this Thanksgiving season. One of my favorite pieces of writing during this time of year is this one from Robert Stevenson . . .
O God, as the day returns and brings us the silly rounds of irritating duties, help me perform them with laughter and a kind face. And grant me the gift of sleep. How do you handle your irritating duties? Meditation? Prayer? A long walk to clear your mind? Let me know by leaving a comment here! Preparing For The Holidays . . . And a Gift For You! Wow, has this year flown by or what? Seems like just a few weeks ago we were celebrating Easter. I really believe the old saying of as you get older the years go by quickly. Now, we are just weeks away from the holidays and the end of 2017. Preparing for the holiday season and the high expectations you have can really wreak havoc on your emotions. That thing your uncle does that makes you super angry? There's no reason to think he won't do it this year and that it won't trigger you again. It's good to take some time to think about specific potential landmines so you won't be caught off guard. Maybe when things get a bit dicey you will decide to take a 10-minute walk, or take a deep breath and change the subject to something positive, or excuse yourself to text a friend, these are all great ways to reset yourself. Sometimes there is power in smiling, nodding and changing the subject. Give yourself permission to walk away from anything that doesn't feel right is okay to do. It's called self-care my dear. Taking care of yourself. If this sounds all too familiar to you and you know you will need support before the holidays get here. Or you need some support for your everyday life...you're in the right place. From now until November 15th I am running a special you won't want to miss! I am giving a 20% discount on my Life Coaching packages with the 1st session of meet and greet FREE. That's right. The first session we jump on the phone and discuss what area of your life you most want to examine, and why it is such a struggle for you. I want you to pull your desires from the back burner forward, to live your full life like you desire. I can help you do that. Too often we reach for quick fixes and look outward for answers, abandoning our true selves. But deep inside, you may have a sense that life could hold so much more, more fire, more joy, more peace, more health, more clarity, and more love. Check out these SUPER testimonials from some happy and satisfied clients here. I inspire my clients to raise their standards by encouraging them to think and act bigger. You can find out about all my sessions and packages here. Grab your time with me by clicking the reply button and letting me know. We can start right away to ensure you have the best holiday season yet. I guarantee it. Because I believe in you. I hope my blog posts bring you hope and inspire you to do something big in your life. Did you know that 45% of Americans have experienced some kind of bullying in the workplace? Did you know 40% of the workplace bullies are women? Women bullies pick on other women more than 70% of the time according to the nationwide poll by the Employment Law Alliance. How do you know if it is bullying you are experiencing or just a misunderstanding, communication breakdown? Bullying is something that happens again and again - not when this person is having a bad day. Being a target of bullying can show up in other parts of your life: headaches, loss of appetite, high blood pressure, trouble sleeping. Carrying stress home and taking it out on family members. One thing I learned from my own bullying experience was this: staying focused on my own work and not getting caught up in the nonsense and jeopardize my position with the company. A few tips I want you to be aware of if you find yourself in this position. Don't blame yourself or second guess that maybe it's something you did to cause this behavior. Bullies take pleasure in manipulating their victims. Stay healthy and educate yourself, document everything, and build a support system. As you work through these steps in a positive way, implement a good nights sleep and healthy diet, you will prevail. Turn a negative situation into a positive one by realizing this is a very good learning experience. Wanted to pop in your inbox and wish you a wonderful weekend. I hope you do something this weekend that makes you come alive. Take a walk in the woods and enjoy the bountiful of colors exploding of the leaves. Go for a bike ride and feel the crispness in the air and across you face. Grab a blanket and a good book, head to the park you have been wanting to visit for so long. Ride the wave of the new found energy you have, and keep it going throughout your life. Because you are worth it! Follow your instincts. Life happens now. Whether you are trying to make a decision about work, relationship issues, parenting or anything else...go with the flow...that feeling deep down inside but afraid to admit it. Yes, that one. The gleam or that feeling that really speaks to your heart when a little nudge come from God/Universe telling you are on the right track. Don't discount it. Embrace it and bring that energy into your life...Every dang day!!! I experience these moments in the morning when I am meditating or when I am being still and enjoying my coffee. Moments that are cherished. How have you felt your new found energy lately? What decisions can I help you with as your Life Coach? Reply to this email and let's talk. 2017 is coming up quick. It's time to schedule you Vision Board Workshop. I have some on the calendar already and have few spots left...what is stopping you from getting girlfriends together and focus on your goals for 2017? It's fun and exciting. Praying about...I am praying and thanking God that Hurricane Matthew did not his Miami, Fl as hard as it was expected to. My son, Lindsey, and his partner, Michael just moved to Miami a few weeks prior to the hurricane. They live in a condo on the 10th floor of the building, so I was very concerned if he would have electricity, food, etc. You know, all the things that a mother can worry about I did, and then some. Lindsey seems to do this to me about every 2-3 years. He moved to Boston, MA, two weeks before a snowstorm buried the city with 18 inches of snow. He was snowed in his house for 2 days. Just when you think you have them grown and they're on their own, here comes a whole new set of worries. Reading...Unashamed, Drop the Baggage, Pick Up Your Freedom by Christine Caine. Need I say more? This book is so powerful! It is so true that shame holds us back, holds us down and holds us hostage from all our hopes and dreams. This book spoke to me in so many ways, but the most compelling area was releasing the guilt and shame of a failed marriage - the feeling of never being enough when I was younger. However, Christine's writings reinforced my belief that I can conquer and do anything I want with the Holy Spirit by my side. He is there to guide me if I only put my trust in him today and every day. Working on...I am super thrilled about my coloring note cards! I collaborated with a local artist, Maria Schweizer, to put my ideas actually on paper. These cards represent how I am feeling these days in my life...FEARLESS, CREATIVE, LOVE, INSPIRE! Coloring as an adult has proven to be a wonderful way to become relaxed, relieve my stresses, and be mindful of my surroundings. And wouldn't you know it; I have some extras for sale! They are 7 cards for $16.00 or $2.50 each. 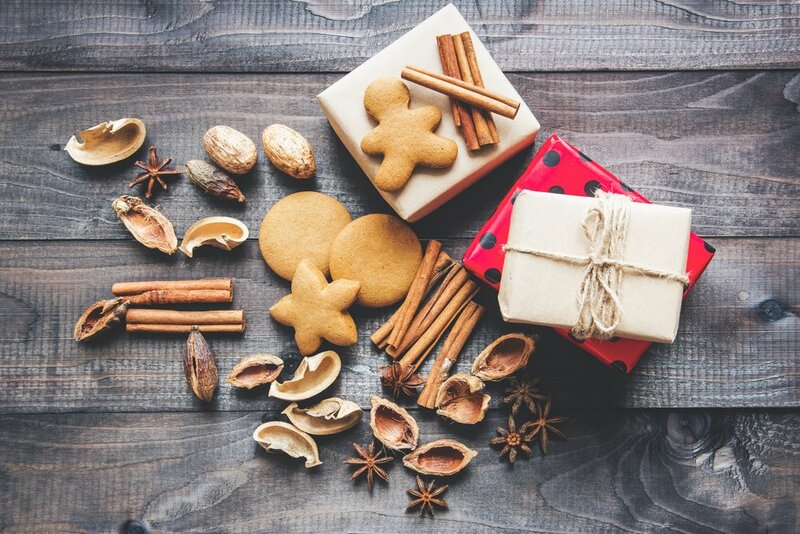 They are wonderful gifts for a special person in your life, and remember, Christmas is right around the corner. Watching...This past Sunday morning, I watched Super Soul Sunday on the Oprah channel OWN. Her guest was a man by the name of Carl Lentz. He is the Lead Pastor at Hill Song Church in New York City. I have never heard of him before, but wow is he awesome. I connected with him on so many levels...he spoke such a real message about God being the real encourager, and how we usually get in trouble when our ego gets in our way. Ego + Edging God Out. I have realized things learned as a child and growing up really don't hold much water today in my relationship with God. My connection with God is soooo much stronger than it has ever been in my life. Thank you for dropping in to read my blog and hope you get what you need just for today. I am super excited to share a project I collaborated on with a local, talented artist, Maria Schweizer. We worked long and hard on developing my coloring notecards to share with my followers, and that time has finally come! They are a creation of a perfect way to get your coloring fix on and spend some time with yourself pondering those important things in life. Did I say I was SUPER excited? These notecards also answer the question, "now what do I do with my coloring pages after I finish them?" Enjoy some YOU time while coloring the notecards, then share them with your friends and family. Or, gift them to a loved one so that they enjoy a little time to themselves and relieve some stress while coloring. Please respond to this my email, swagner@susanmwagner.com and let me know how many sets of notecards you want and with your address. They are $2.50/per card, or 7 cards/$16.00 for a savings of a $1.50. Each with their own inspiration. I hope you enjoy coloring these cards as much as I have.